Our 2014 Mercedes E Wagon with 66000 miles is experiencing front seat separation at the creases of the front cushion. Our dealer informs us that it would be covered under the factory 50000 mile warranty, but not under our 100000 extended warranty bought at time of purchase. We told the dealer to initiate a warranty claim. i originally filed under W213 and someone suggested to ask Mercedes to fix as a gesture of good will. They also suggested there was a Mercedes technical bulletin on seat separation. Does anyone have an idea on what steps to take? Does anyone have knowledge of prior seat separation? Does anyone know how to get a copy of any relevant Mercedes writings on seat separation. Have you searched here? There are many MBtex failure threads. Just had exactly this problem. Had one seat repaired under 50,000 CPO but the second seat a few months later, under the 100K extended, was denied. Ended up just taking it to a local upholstery shop and the guy stitched it back together beautifully for $65. This was after shopping eBay and used parts sites for 6-8 months hoping to just find a bottom cushion. It's pretty damn annoying because I went out of my way to get an MB Tex car (not that they're hard to find or anything, just did NOT want leather) because supposedly "MB Tex is indestructible!!!" BS. In my experience it's worse than leather. Why can't I just get some good old fashioned houndstooth cloth seats? Or maybe plaid? This has happened to me. i have a 2010. Konigster sent me the bulletin and the parts for replacement. he told me to call MB customer care and ask for good will/gesture repair. the first time I called, they said they wouldn't cover it since I was outside the factory warranty window. I waited a few days and called them again and got a different rep. I told them that the date of the bulletin wasn't sent out until 2016 and that my VIN was within the affected range but it wouldnt have mattered since the factory warranty was already over. the rep agreed to good will repair and notated my account. He told me to start by getting repair quoted at the MB dealership. I took my car in the other week and they quoted me 418 for the parts and 150 for the labor. this posted reminded me call customer care back.... i just got off the phone with them. Rep said she will escalate this to the person that approves it and i will hear back within 1 business day...we'll see what they say on Monday. This has happened to me. i have a 2010. Konigster sent me the bulletin and the parts for replacement. he told me to call MB customer care .... the rep agreed to good will repair and notated my account. He told me to start by getting repair quoted at the MB dealership. I took my car in the other week and they quoted me 418 for the parts and 150 for the labor. My 2013 E350 is experiencing the same material breakdown. Would you mind PM the name of the representative that helped you. I would like to contact her. Thank you! This happened with my parents 2010 and my 2012 E350 we both have the vinyl seats. Mine was done for free under warranty and my parents were a few months out of warranty and theres was done with MB's goodwill repair and they repaired it for half the cost I beleive at 300$ or 200$. Both cars it was the drivers front seat. My drivers seat was repaired under warranty - I looked closely at the stitch that had split and it seemed that there was hardly any material on the backside to grab the thread. I'm sure that the passenger side will give way at some point unfortunately. It's sad to see this poor design and/or mfg defect. Last edited by Mud; 10-09-2018 at 12:00 PM. Mine split also. The MBtex used in the W212 is crap. It used to be durable.They offered me 20% off with goodwill. Still was over $400. Wish I could find a guy to stitch it up for $65 like the earlier post. I just went through this with my wife's 2014 E350, 80k miles, CPO. Seat separation at the seem center of the driver's seat. The SA initially said this would have been covered under the new car warranty, but not the CPO. Unacceptable. 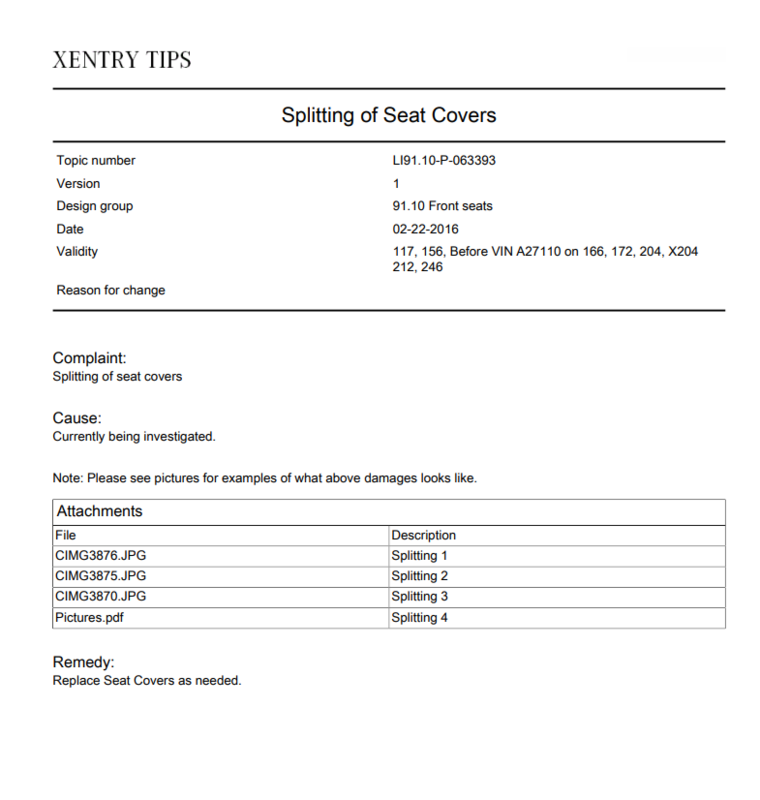 I contacted the finance manager at the dealership and inquired about having the seat repaired under the interior protection plan I had purchased with car (Zxilon). She said it wouldn't be covered because they considered it a manufactures defect and not a tear or a rip (which would have been covered). Hmm? Manufactures defect? I then contacted MB customer care and told them the story, including the denial to fix due to manufacturers defect and they agreed to fix it. I just had to have the SA give me a quote to fix and turn it into the customer care advisor. $667 parts and labor, I just had to pay a $100 deductible. Thank you to everyone who replied to my post. There were some good ideas. I contacted the SA and sent him a copy of the bulletin Ghettoeg6 posted and indicated I thought the MB Tex was defectively manufactured. They agreed to take pictures and see if Mercedes would pay for the seat separation. I do like my car overall but I have to say that I'm sorely disappointed in the poor level of interior materials. Replaced so far, faded wood trim, driver side ripped seat base, and center console cover (bubbled). Sure, they were done under warranty but the point is that the stuff is giving out at early levels. This car is garage kept, low miles so excessive wear is hardly a factor. I'm with Mud. These cars are supposed to be tanks, and their reputation certainly extends to interior materials. I too have had to replace the (supposedly indestructible) MB Tex on both front seats, the bubbling on the black trim on the console and around the COMAND screen, and I kinda think my wood is starting to fade too. Which will certainly be out of warranty by the time I get around to it, if it isn't already (I'm on my extended now). Then you throw in there the multiple visits for COMAND issues (eventually replacing the entire unit), blind spot failure, leaking diff seals, water pump, alternator, 5 bent rims with at least 1 more on the car now (come on, don't tell me it's my driving at this point) and oh yeah, having to get my engine rebuilt at 48,000, it's ridiculous. The TPMS takes over a month to come back after a tire rotation, haven't even bothered to take it in for that yet. Luckily so far, EVERYTHING has been under warranty other than the wheels, but I'm not buying the whole MB reliability one bit. I am scared to death what happens when it goes out of warranty. I'm at 74K right now. My Chevy pickup had literally zero issues, not one single component failure, until a wheel bearing at about 85K, at which time I just went ahead and rebuilt the entire front end (it didn't need it). Didn't have another one come up until some window switches at about 100K. The Nissan Murano the MB replaced, despite feeling like a buzzy piece of ugly, sad garbage, had never had any issue of any kind when I traded it in at 120k. Never had to touch it with a tool, not one single time other than oil changes, tires and rotations. Thus far, while this is a beautiful car to look at, and a thoroughly pleasant one to spend a long road trip in (after weeks and weeks of custom work on my part to make the driver's seat into something better than a toilet seat, or park bench) it's reliability is laughable and I can guarantee I wouldn't even consider another MB product in the future. In fact I kinda can't wait to dump this one off when the warranty is up. I just hope my wife lets me - she's not the one who has to work on the damn thing, plus she gets to drive a new MB loaner every week or two when this turd goes in the shop for some BS failure, so it's all gravy to her. Just kinda wish the opinion of an average Joe like me mattered to MB. They've got enough doctors and lawyers dropping huge coin on their cars just to have that star on the grille that they don't need to actually make a decent product. This is disconcerting to read. The MBtex in my 18 year-old Benz looks brand new, while the leather inserts in the center of the driver seat bottom is shot to crap. This is why I did not hesitate buying the W212 with MBTex. I'd still prefer MBTex over leather. To now read that these seats have failures for some puts me off a bit. Seems like the deep crease design is more at fault here than the surface material. But the result is the same. An under warranty replacement is OK for the short term for those that fail early. Otherwise it's very expensive out of warranty... especially the front passenger seat if it rips. The dealer tells me there are loads of electronic modules within it that make that seat replacement 3 times more expensive than the driver's seat. Oh well. Looks like another **** wool seat cover is in my future. $1800 for the passenger's lower seat cushion. That's why I took it to an indy upholsterer when it ripped and MB denied it. This was after about six months of watching eBay and used parts sites for a replacement. I even considered buying a $600 complete used seat and selling off the parts I didn't need (airbags, etc) but in the end I couldn't verify from interweb pictures that it would have the correct matching stitching etc. In the end I'm glad I took it to my guy, he's also going to replace the worn-out side bolster in my S5 with vinyl for dirt cheap. Both lower front seat separations were covered under our 100000 7 year extended warranty purchased at time of purchase of our 2014 Wagon. We were told initially that it would not be cover under the extended warrant. We talked to the service manager. We sent him the bulletin sent me by Ghettoeg6 and displayed above. 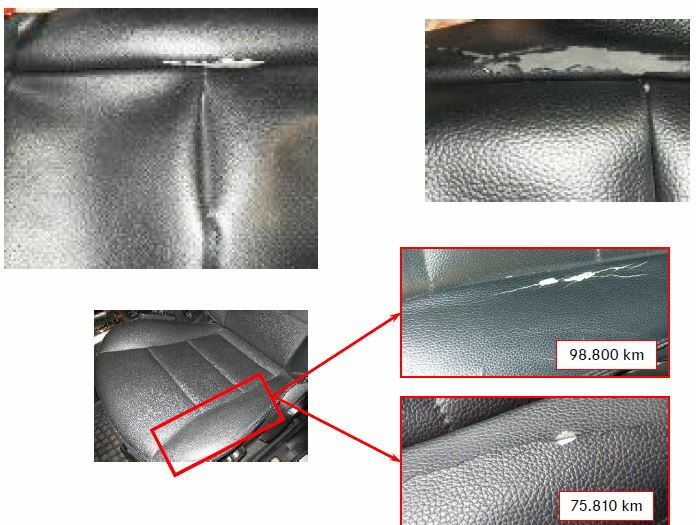 We argued that the seats were defective, and Mercedes was aware of the defect before the expiration of the 50000 warranty, and it must be covered under the 100,000 mile warranty. Since Mercedes was aware of the defect, it could not be used as an excuse under the extended warranty. Everything was sent in writing to the service manager. I finally got a hold of the guy that was supposed to call me within 1 business day. He said that MB has not acknowledged a defect or recall on the seat. I asked why was there a bulletin and he proceeded to say that that information did not come from MB and asked how I got a hold of that. They said all they could do was gift a service credit of $300 towards the repair but that they could not cover the entire amount. Last edited by Ghettoeg6; 10-16-2018 at 11:49 AM. i pressed him on it too. but he said the only thing for my VIN was a camshaft recall or something like that and the takata airbag. nothing regarding my seat. i called back and spoke with that executive referral manager and tried to argue for full coverage of the seat. i sent him that LI and he said LIs are just to tell the dealerships how to repair something, not a notice of recall or defect. Agreed not a recall or service campaign however, bulletin documents specific VIN range (of which you are within) and (in your case) VIN specific EPC capture documents original part # installed at production was replaced. Combined both indicate defective cushion was installed at production and part was modified with replacement. Last edited by konigstiger; 10-15-2018 at 05:14 PM. 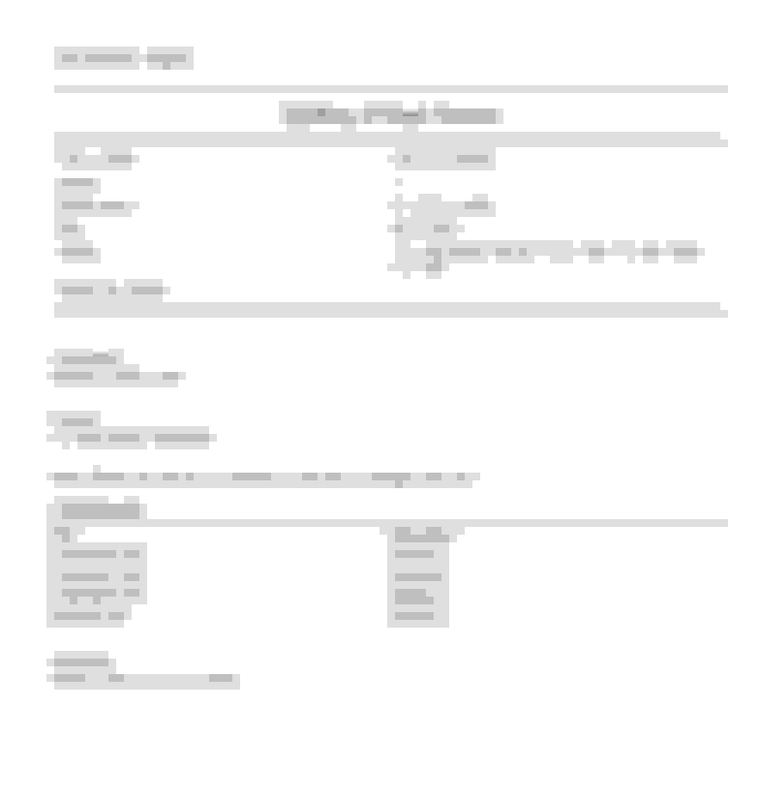 bulletin documents specific VIN range (of which you are within) and (in your case) VIN specific EPC capture documents. How can I access the bulletin to check my VIN ? i sent him that data card along with what you said above. he just called me and gave me BS excuses as to how that is common to swap out parts during production due to XYZ factors. the guy won't budge on the $300.